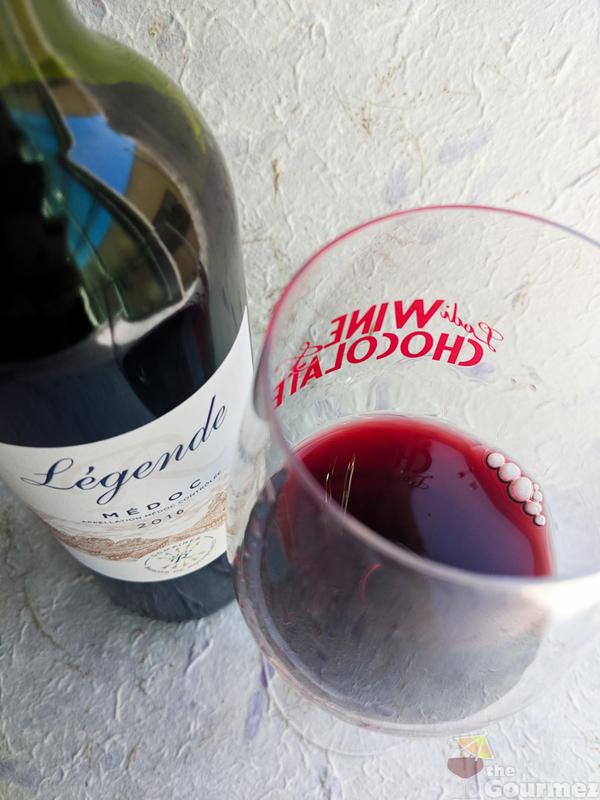 The Légende line of wines comes from the same lineage as the highly esteemed Domaines Barons de Rothschild (Lafite) Grand Vins of the French Bordeaux region. While the latter can fetch prices in the thousands, the Légende wines are meant “to offer classic Bordeaux wines with immediate charm,” per the Rothschild website. You can pick up the most recent bottlings for about $20 in the US. I was delighted to receive two sample bottles of Légende wines to review for this website. Obligatory disclaimer: This means I did not pay for these wines, so let that information influence you however it will. 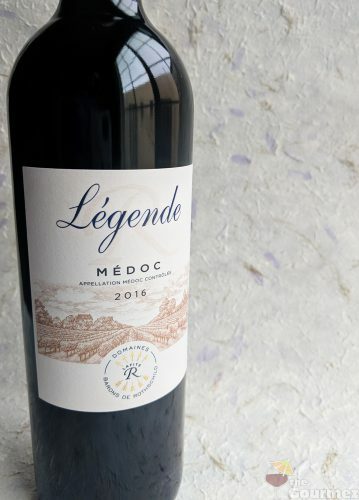 I tried the 2016 Légende Médoc first. This wine is 60% cabernet sauvignon and 40% merlot. I let my glass decant for about an hour before tasting. Thus, I was surprised by how tart I found it, with cranberry and rhubarb notes prominent. A few strawberries tumbled into the mix. For me, the wine’s appeal was mostly atmospheric; I could feel the cool soil of a farm between my toes, hidden beneath grass and straw tannins. Its tart, sour notes were too strong for my palate, but you may not feel the same…and they may go quite well with a buffalo burger or beef wellington. Perhaps my mistake was over-decanting for a wine meant to be enjoyed today rather than in twenty years. 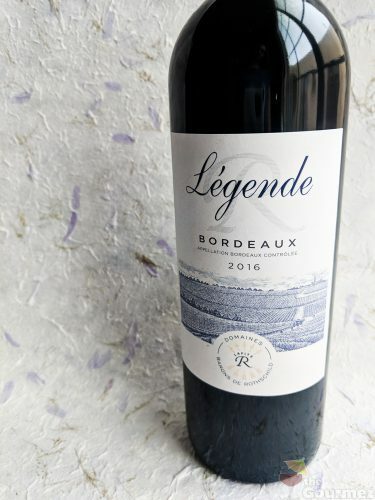 The second Légende wine I tried was the 2016 Légende Bordeaux Rouge. It‘s also 60% cabernet sauvignon and 40% merlot. The Bordeaux Rouge was much more aligned with my preferences. Blackberry licorice candies sang while sniffing. They were joined by fruit leather in the glass: strawberry, cherry, and echoes of blueberry. Roasted spices were sprinkled throughout, particularly fennel and cumin. This light-bodied wine offered a berry bounty and enough sophistication to pair with, rather than overwhelm, poultry dishes. The Légende line also includes offerings form Bordeaux Blanc, Saint-Emilion, and Pauillac, providing an affordable taste of the Bordeaux regions that the Barons de Rothschild have refined over a century and a half. That sounds like a tour worth taking in the comforts of your own home, doesn’t it?